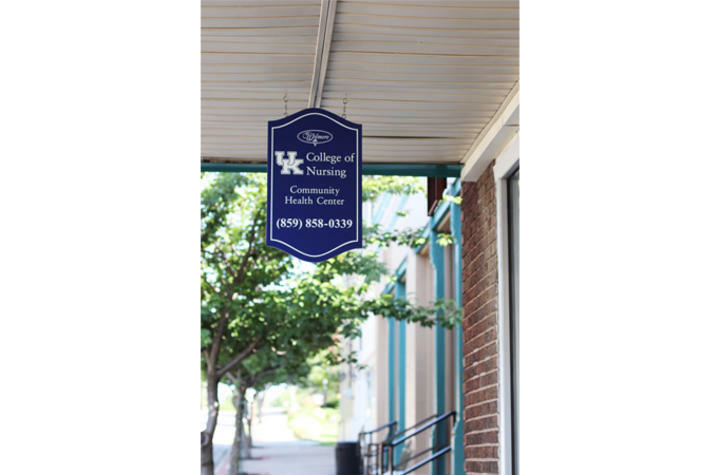 WILMORE, Ky. (June 28, 2018) – The Phyllis D. Corbitt Community Health Center in Wimore is now a full service primary care clinic, providing accessible health services in Jessamine County and surrounding counties. The clinic, which opened in 2015 and is named for Dr. Phyllis D. Corbitt who served the Wilmore community for more than 40 years, recently only offered limited health services such as immunizations, sports physicals and treatment of common illnesses such as upper respiratory infections and allergies. Under the new license, the clinic now offers comprehensive health care for people of all ages, including health promotion, disease prevention, immunizations, management of acute and chronic health problems, school and sports physicals, as well as pre-employment health screenings and physicals, referrals to specialists at UK HealthCare and soon will participate in the Vaccines for Children program. "Our dream has always been to provide quality health care for the citizens of Wilmore and the surrounding area who do not have a primary care provider," said clinic director Dr. Sharon Lock. "It is very important to us to have a practice site for our faculty nurse practitioners in the College of Nursing as well as a clinical site for our family nurse practitioner students." The clinic is open Monday through Thursday 10am to 6pm and Friday 8am to 4pm. Most health insurance plans are accepted. Copays and other expenses can be paid with cash, debit card or credit card. To make an appointment, all 859-858-0339. Walk-ins are also accepted. The clinic is located at 317 East Main Street in Wilmore.